Peel the pears then add the spices and pears to a pan of water. Cook for about 30-45 minutes. 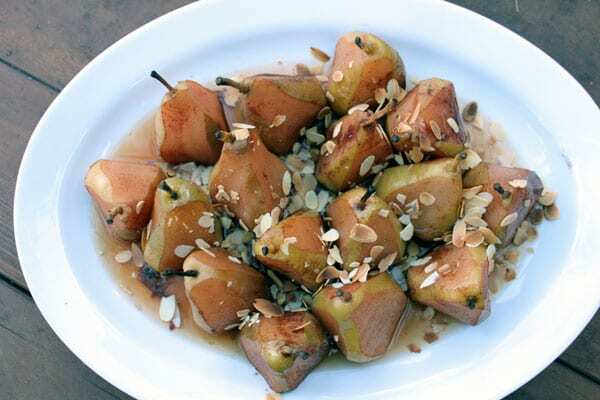 serve the pears in a bowl with the syrup poured over and a sprinkling of flaked almonds. Serve with yogurt or coconut cream as desired.